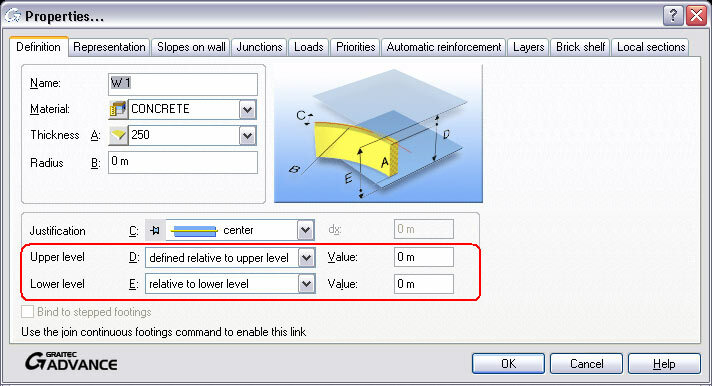 Structural elements (e.g., walls, columns, slabs etc.) are usually displayed on top views. The height of the elements is set in a specific dialog box using reference levels. The reference levels are assigned to the levels of the buildings. 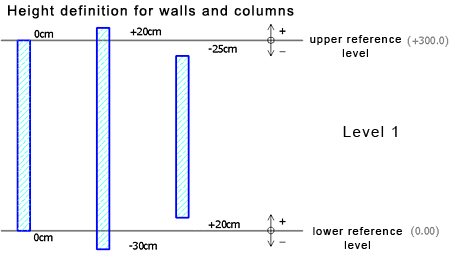 Reference levels are defined for each level of the building. 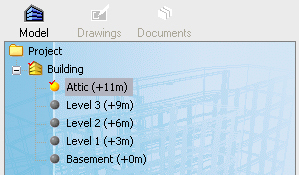 Right-click on the desired level and go to the "Properties" tab in the dialog box. 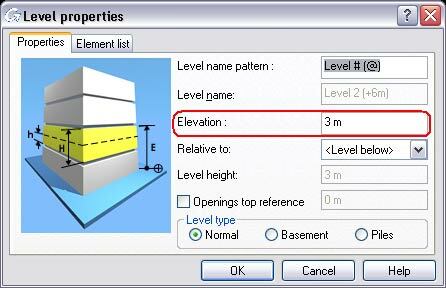 Insert the height of the level in the "Elevation" field. The height of the structural element is set in the "Properties" dialog box of each structural element. Suppose that you wish to set the distance between the structural element and the roof. You can either bind all elements to a specific roof level (of course, there can be overlappings), or you can create several roof levels with different reference heights (like in the above figure). To superimpose the same roof levels at different heights, you need to define for each height a specific group. You can set the group and the height in the "Properties" dialog box or on the Smartbar. 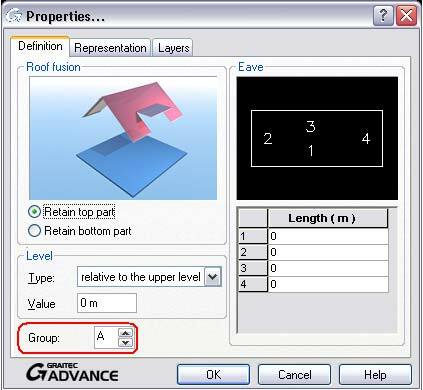 If you want to modify the group later, there must be no element connected with this level. Copy and insert roof A (the two roof levels will be directly on top of each other). Click on one of the roof levels and modify on the Smartbar the settings for "group" and for "height".